The human microbiome—the trillions of microbes that share our bodies—has become one of the hottest areas of research in human health. 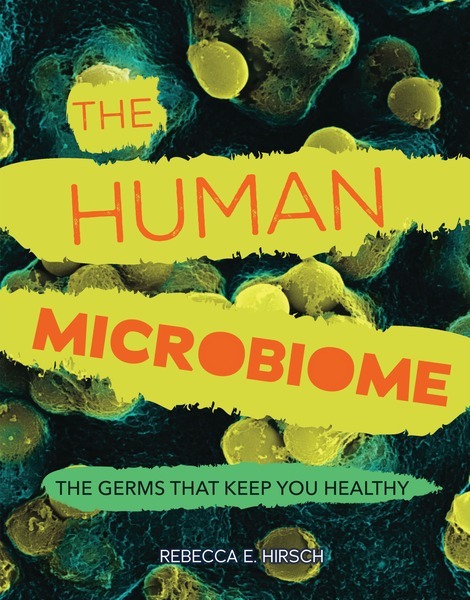 This book explores the microbes that live on us and in us, how scientists study them, and how they are linked to health issues like infections, obesity, allergies, and autoimmune disorders. The book delves into the effort by scientists to identify and study all of the microbes associated with human health and disease, and what this means to you. It’s hard to think of oneself as a mere physical plant for trillions and trillions of microbes—microscopic creatures in a custom-individualized mixture (like a fingerprint) existing on us and in us, acting beneficially, neutrally, pathogenically, part and parcel of our personal selves. Hirsch’s readable, lucid text introduces us to these colonizers/hitchhikers/attackers, where they live on/in us, what they do, how they benefit (mostly) or harm us, and—equally important—how we affect them and what it all means to our health in general. She discusses the “golden age” of antibiotics and the dangerous land mines implanted by their overuse—the “superbugs” that have erected defenses against the best medicines we have to offer and the effects of antibiotic overuse on our food supply. And the author writes of how probiotics assist our bodies in providing a safe haven for our “bugs of choice.” Information boxes abound on such interestingly diverse topics as “Solving Murders with Microbes,” “The Strange Case of the Disappearing Helicobacter Pylori,” and the “Penicillin Girls.” Advice boxes give instructions on “Tending Your Microbial Garden,” handwashing, and taking your DNA “fingerprint.” VERDICT Unexpectedly informative and up-to-the-minute in research, this is a nifty look through a clear window at our unsuspected personal passengers. Consider this in-depth resource for reports and students who are not easily made squeamish. The Human Microbiome explores the complicated concept of microbes that live on and in our bodies and the delicate balance required to maintain and protect these organisms for our own benefit. To explain the role of microbes in good health, the human body is compared to an ecosystem, with the microbes being the various species dependent on that environment. There is extensive coverage of the history of antibiotics and how the 'miracle' of these life-saving drugs has developed into a problem through overuse. The book explains several theories put forth by scientists as to the origin and individuality of human microbiomes. Finally, the need for continuing research on the human microbiome is emphasized. Besides the table of contents and index, there is a brief glossary and a list of source notes that are organized by page number but are not footnoted in the text. A selected bibliography is included, as well as a further reading booklist and a list of websites including a link to a TED talk about microbes. This book is a valuable resource for readers looking for easily understood information on this complex topic. This thoroughly researched introduction to human microbes is not for the squeamish. “On your face right now are millions of creatures invisible to the naked eye,” Hirsch writes. “They squirm across your cheeks, flourish on your forehead, and nestle inside your nostrils.” Feeling itchy yet? It’s nothing to worry about, Hirsch insists. Most of these microbes are essential to human health. With great detail, she proceeds to go into the way the human body functions as a habitat for microbes and the symbiotic relationship we have with them, as well as the history of scientific discovery. From the seventeenth-century findings of Robert Hooke and Antoni van Leeuwenhoek, the first to observe microbes, to the development of antibiotics, this leaves no stone unturned. Close-up photos of microbes and bacteria are shown alongside scientists at work. The level of detail makes this better suited for science students than casual readers—basic biology vocabulary knowledge would go a long way here. Still, this comprehensive volume makes for a valuable classroom resource. Thousands of different types of microbes inhabit, in unimagined profusion, many parts of the human body. It's an ecosystem worth exploring. Veteran science writer Hirsch takes on the job, providing detailed and accurate information on the history of microbial science and the development of antibiotics, the variety of microbes, the effects of antibiotic overuse, and the evolving science of the role of the human microbiome in health and disease. Although the topic is complex, this overview is presented clearly and without oversimplification.… Detailed backmatter rounds out the book. ​This important topic is worthy of attention, and in spite of some design flaws, this will serve middle and high school readers well.